Berkery Noyes Represents Dydacomp In Its Sale to Dydacomp Holdings Corporation and Milestone Partners - Berkery, Noyes & Co., LLC. 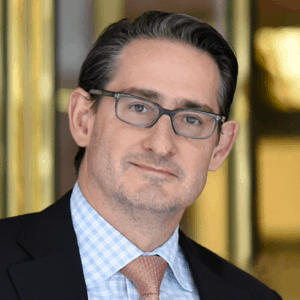 NEW YORK, January 16, 2008 — Berkery Noyes, a leading independent investment bank serving the media, information and technology markets, announced that it represented D.A. Kopp & Associates, Inc., Card Management Services, L.L.C., and Card Financial Services, L.L.C. 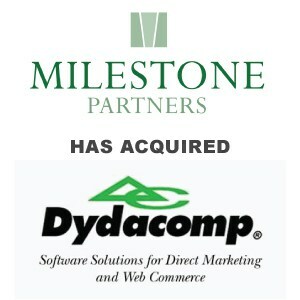 (Dydacomp) in its sale to Dydacomp Holdings Corporation and Milestone Partners. Terms of the transaction were not disclosed. Dydacomp is a leading software developer and marketer of solutions serving direct selling, e-commerce, and catalog merchants. The solutions are designed specifically for small to medium sized, business-to-business, multichannel merchants, distributors, manufacturers and third-party fulfillment operations, and range from complete front-end solutions such as hosted e-commerce Web sites to complete back-end order management solutions. “This transaction demonstrates the high value the market places on end-to-end technology solutions that improve the e-commerce experience for users, and simplify management of e-commerce transactions for sellers,” said Shawn Miele, Managing Director, who managed the transaction for Berkery Noyes. Berkery Noyes acted as exclusive financial advisor to Dydacomp in this transaction. Dydacomp specializes in multi-channel software solutions for e-commerce, catalog, DRTV, and traditional point-of-sale business. For further information, visit the company website, www.dydacomp.com. Milestone Partners is a private equity firm that partners with management to invest in leveraged buyouts and recapitalizations of lower middle market businesses. Milestone pursues prospective platform companies that are leaders within niche markets and are engaged in producing or distributing high margin products or services. Milestone’s transactions typically provide liquidity to shareholders of family-owned businesses, facilitate the transition of ownership to key managers, and allow management to capitalize on growth opportunities while maintaining the legacy of the founders. Milestone is currently making investments through Milestone Partners II, L.P., a $120 million committed fund. For further information, visit the company website http://www.milestonepartners.com. Berkery Noyes provides mergers & acquisitions advisory services to emerging and established information, technology and software and services companies in the U.S. and internationally. Based in New York City, Berkery Noyes employs 40 investment banking professionals. For more information, visit www.BerkeryNoyes.com.